FFX’s Chocobo Eater’s Brilliant Game Design – What's in a Game? 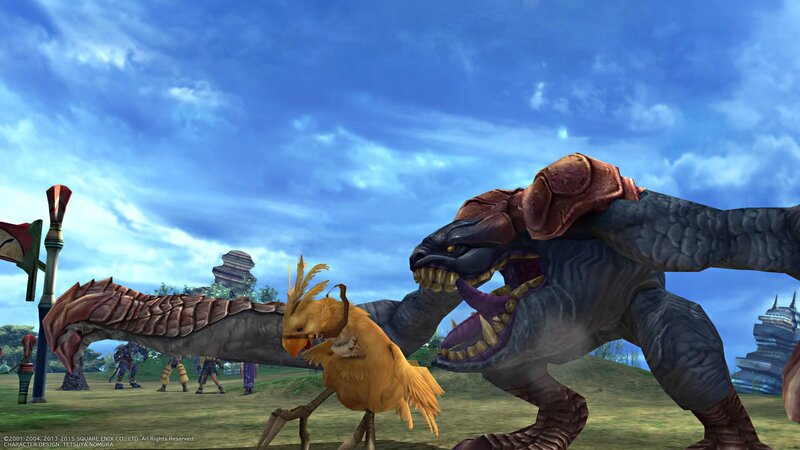 In FFX, the Chocobo Eater is a boss in the early part of the game that exhibits great game design principles including planning for multiple player types, negative feedback, and flow control using challenge layering. The battle is on a cliff where if you do enough damage, you knock him over. If you deal enough damage while he’s knocked over, you can push him back. At certain points in the battle, if you don’t knock him over, he can push you back. There are 4 ways to get through the battle and continue the game. If they get forced off the cliff, they must complete the next section without a Chocobo, so they will have to fight more battles, preparing them for the next boss. This is an excellent example of negative feedback (they did bad, so they must fight more battles to get better). They will feel great just for killing him, especially if he pushed them close to the edge! They have an opportunity to pay for a Chocobo, but most people won’t spend the gil on this. If you’ve been overkilling regularly, you have more gil so you can afford the Chocobo, making you more likely to pay for it. This is helpful negative feedback (overkilling a lot = doing well in the game or over leveled = you have enough money to rent the Chocobo = allows you to skip some battles so you won’t continue to over level). are going to want to push him over the edge because the reward is worth it. Knocking him over the cliff can be pretty challenging (thus appropriately matching the skilled player’s needs). If you deal too much damage, you may kill him before you push him over, so you have to be delicate. 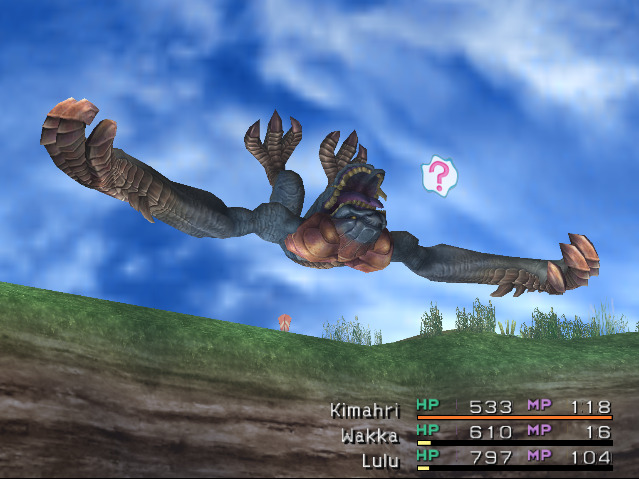 One reward is a free Chocobo, allowing them to skip some battles and speed into the next section of the game (again great negative feedback – they’ve proven their good at the game, they don’t need these battles to level and skipping them may balance their level for the next section to make it a little harder for them). Additionally, it’s just entertaining riding the Chocobo here. It’s a new experience and jumping around is awesome. If you’ve been annoyed at random battles, this will be a big relief. As you can tell, the boss is one of the great ways FFX keeps a wide range of players in flow. The negative feedback afterward helps balance novice vs. skilled players to being in flow for the next dungeon and boss. During the boss, players choose a goal associated with their skill level. As with all enemies, you have the option of overkilling – a fantastic goal players with extra skill can try to pull off. If you know about it, you can try another goal – pushing him off the ledge. Each action you take matters in taking you towards your goal. You need to have mastered the CTB turn mechanic to be skilled enough to push him over the edge. This the earliest boss to require you to understand CTB so well, and it’s optional, so if you don’t understand it, you have plenty of time to practice and learn it. If you don’t understand it, you’ll merely fall off the cliff or reload and try again. Does anyone understand that they can push him off the ledge? The player must know they can do something before they can strategize to make it happen. I would add some NPC dialog beforehand talking about the cliff. You don’t know the consequences of each option. Knowing the rewards and drawbacks helps you choose what option to go for and how much you should care about missing it. There could’ve been NPC dialog or perhaps a wanted poster that explained the in-game pros and cons. Overall, Chocobo Eater is an excellent boss that has optional challenges built into its design which make it a treat for players of every skill level.